One small step. One giant mess. 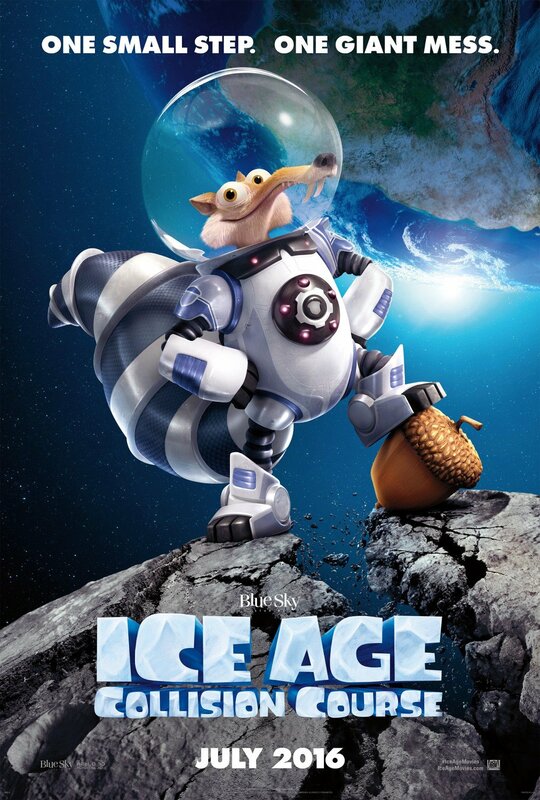 Scrat’s seemingly relentless pursuit of that iconic acorn reaches new heights in Ice Age: Collision Course, the fifth chapter in Fox and Blue Sky’s lucrative animation, who sets in motion a chain of cosmic events that results in a giant meteor being sent careering toward the planet. Back on Earth, Sid, Manny, Diego and the rest of the gang are left facing imminent extinction – not for the first time – and today’s all-new clip for the sequel tees up that event by raining down space rocks on the clueless herd. Guiding that Collision Course into theaters are directors Mike Thurmeier and Galen T. Chu, who have assembled a who’s who of talent in the voice booth. Headlining that ensemble are the regulars: Denis Leary, Ray Romano, Queen Latifah, John Leguizamo and Jennifer Lopez, who all reprise their key roles from Continental Drift. Meanwhile, Fox’s animated sequel also welcomes a hoard of newcomers to the adventure, including Stephanie Beatriz, Adam DeVine, Jesse Tyler Ferguson, Max Greenfield, Jessie J, Nick Offerman, Melissa Rauch, Michael Strahan and even Neil deGrasse Tyson, who narrated one of the sequel’s first teasers with his signature, dulcet tones. Ice Age: Collision Course crashes into theaters on July 22, 2016.